Have you read the ingredients on the back of those little boxes of pudding? Can you even pronounce all the names of the ingredients? Did you know that you already have the ingredients to make your own mix? Save money and control the ingredients? What could be better? 2) Instant? I have never made an instant mix, but knowing some of you may ask, (and have NO luck finding one!) I could not find one online, but have heard of some people trying to make it using Instant Clear Gel. (Make sure it is the Instant Clear Gel). but I have no recipe or experience to guide you. I do have one! I keep meaning to post it, and then I keep going with something else! I will post it for you and bump it up on the schedule! If you email me at: tipgardenblog@hotmail.com I'll email it to you in the mean time! You are always the best Sakura! Thanks for the reminder to get that Bis-"Quick" Mix on here, it's about time! Visiting from the Backyard Farming Connection. Great recipe! We're trying to "revamp" our pantry with all homemade food. This will be a great addition. I love Frugally Sustainable! Thanks for finding me and taking the time to introduce yourself! Thanks Lisa! I am excited to be featured! I will grab a button! Thanks for sharing that helps preparing mouth watering dishes.. Which one did you make, the chocolate or vanilla? In general you want to cook it to the desired thickness, since it is from scratch and doesn't have all those chemical "instant" type thickeners. Try cooking it just a bit longer and see what you think. It may never be as thick as the boxed puddings you grew up with, but so yummy! Let me know how it goes if you make it again, we'll try to figure this out together! Where did you get the container? I've had it for serveral years now so I am not sure, maybe Dollar General. 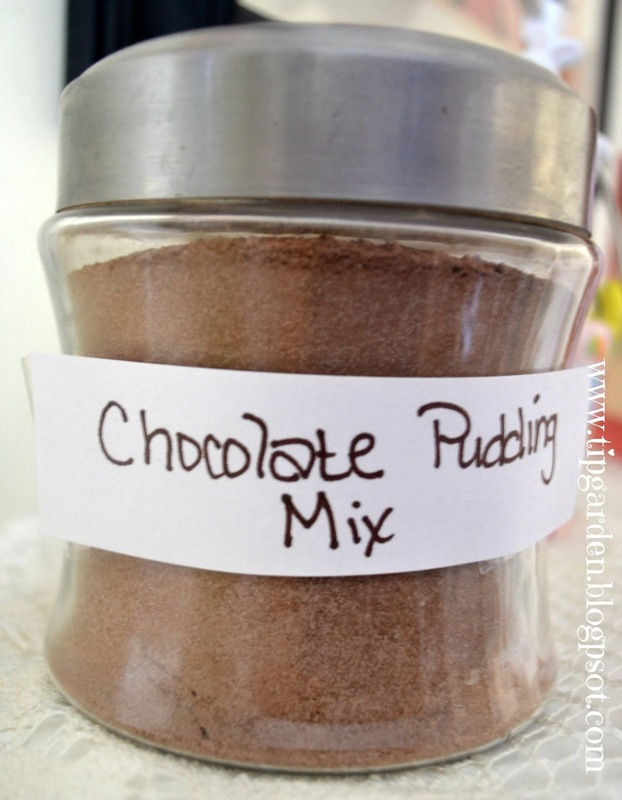 This is the BEST chocolate pudding I have ever eaten! Bravo to you for a fantastic recipe!! Thanks! I am so glad you like it! I make instant vanilla pudding using Ultra Gel. It is available from Amazon. It is a modified cornstarch. No cooking and is ready in minutes. I love this product. Check it out. I haven not tried chocolate yet, but I have made lemon pudding as well. There is a cookbook available for many more ideas for use. I thought you said there was a recipe for instant on this comment thread? All I've seen is the thread above saying someone makes it. I haven't looked at this in ages. I'll have to try to look back and see. I know I saw the recipe in a comment on a thread. I think i mentioned above at the time it was the 7th commentn down on the link I shared for it above. Look in the post where I say food.com and I talk about instant. That's where I saw the recipe. but again I haven't been back to that link since i wrote this post. I tried to go back and find the link myself and can no longer find it, so it must have been a deleted recipe as the link no longer works sadly. 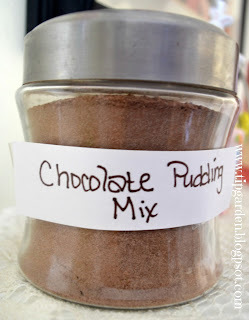 Can I use this mix in place of the box one for making cakes. I am so glad you found me too! I hope you enjoy the recipes! Thank you for stopping by!